Get back to nature with a visit to Mia’s family home. 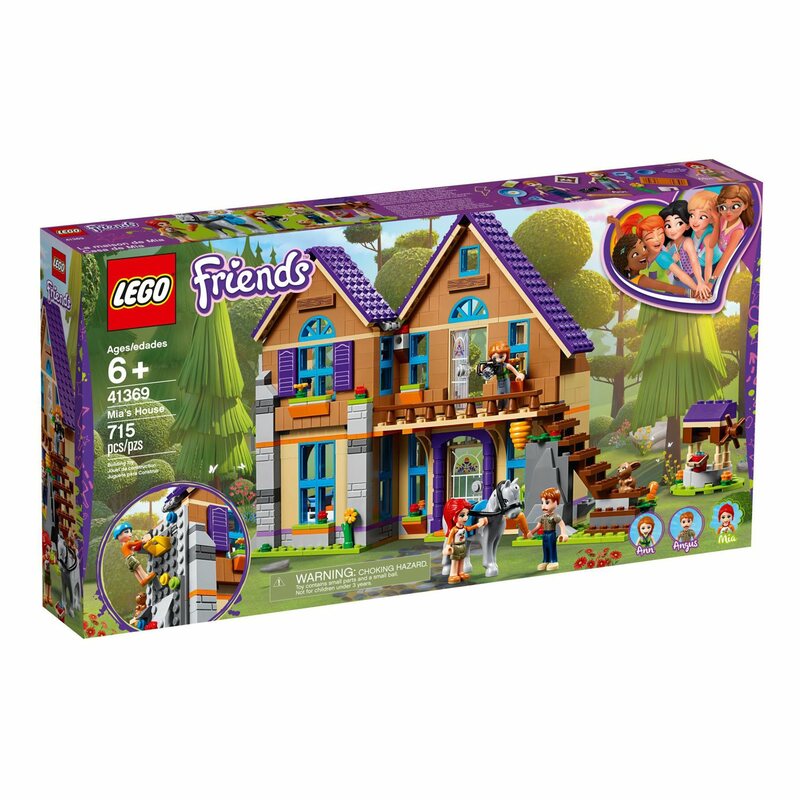 Tucked away in the forest, Lego Friends 41369 Mia’s House comprises a kitchen, bathroom and a living room, as well as Mia’s bedroom, accessed by a cool exterior climbing wall. 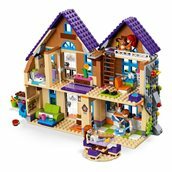 Remove the bedroom floor for easy play inside the toy house. Outside there’s a table and chairs, a well to fetch water for Mia’s horse Metzie, and a grooming area where she can be groomed. 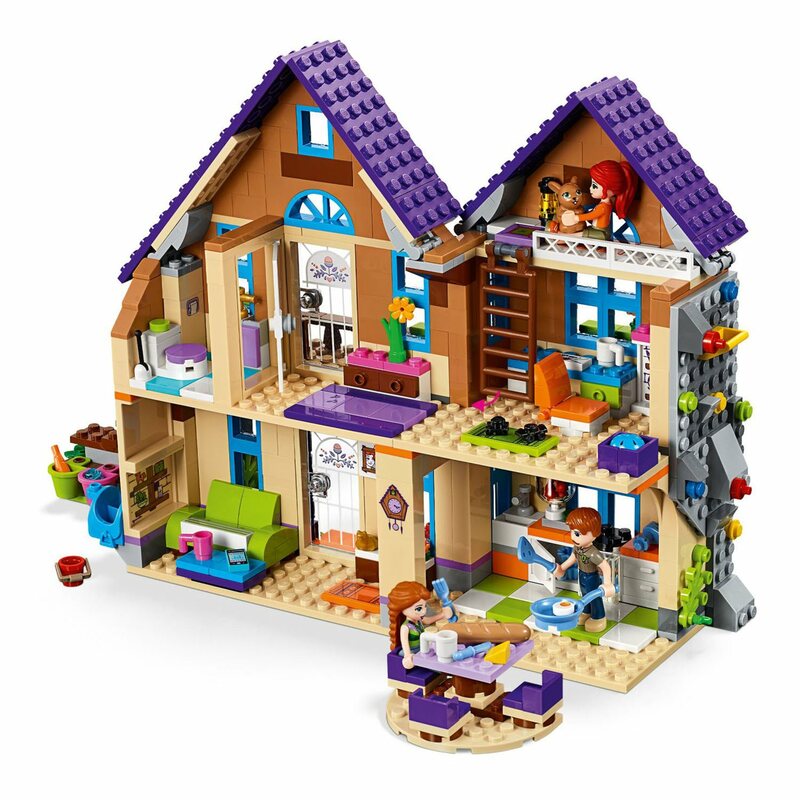 This mini-doll house is the perfect set to role-play family life, and let imaginations run free. 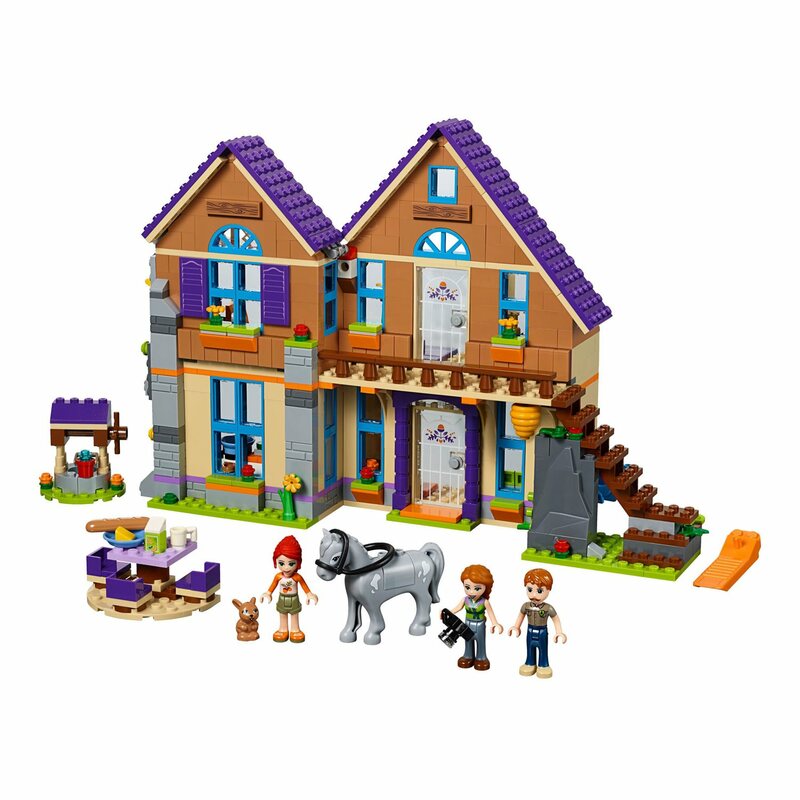 Includes 3 mini-doll figures:Mia, mom Ann and dad Angus, plus 2 animal figures. Includes 3 mini-doll figures:Lego Friends Mia, her mom Ann and her dad Angus, plus 2 animal figures:a rabbit and a horse. 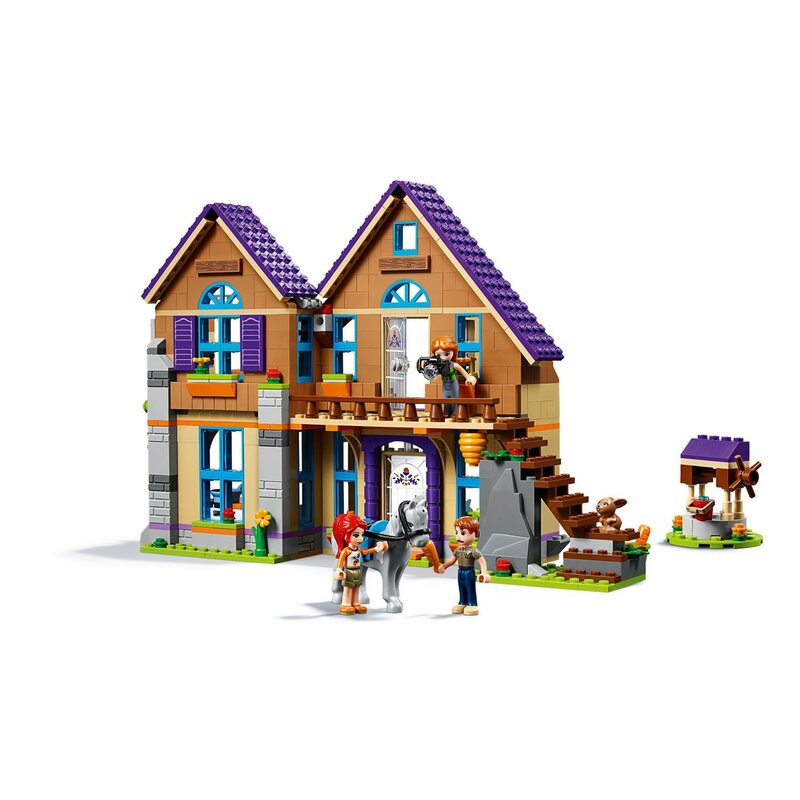 Features a 2-story cabin-style house including Mia’s bedroom, living room, bathroom with sink and toilet and a kitchen. There’s also a climbing wall with a hidden entrance to Mia’s bedroom, and a well outside with a bucket. Mia’s bedroom features a bunk bed, lamp, desk and a chair. Remove Mia’s bedroom floor for full kitchen access, and help Mom and Dad prepare lunch. 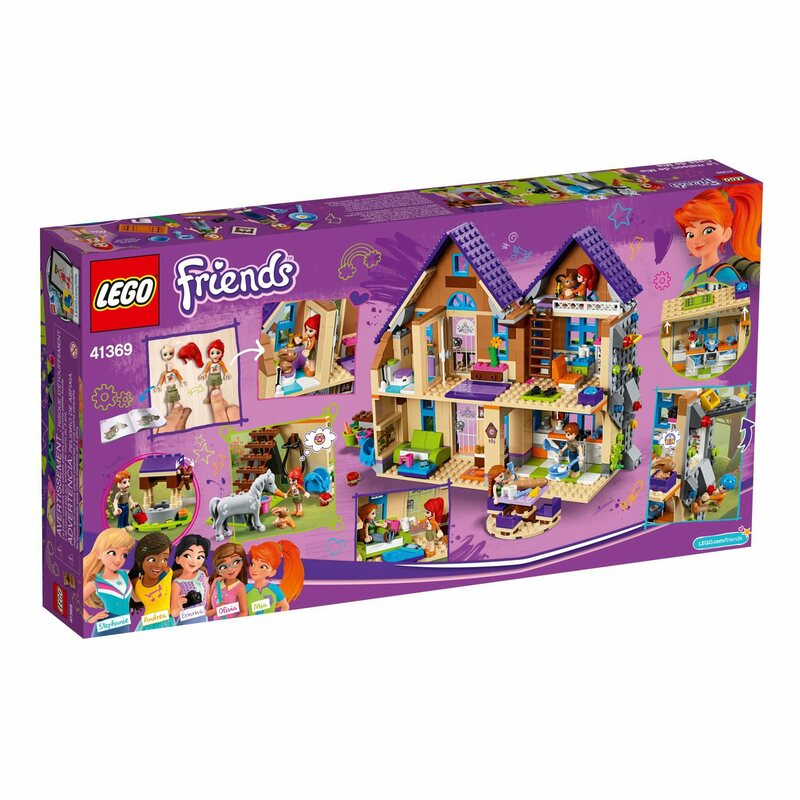 Lego Friends sets encourage creative play, and make building imaginative and fun.